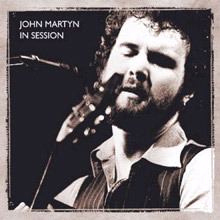 In the words of his close friend and musical accomplice Phil Collins, the late great John Martyn was unique, uncompromising and occasionally infuriating. It’s true that the man born Iain David McGeachy was a colossus in musical terms and a larger than life character in every other sense. Surrey-born, and Glasgow-raised he had already lived an extraordinary life before he signed to Chris Blackwell’s Island Records in 1967, releasing his stellar debut London Conversation soon afterwards. There follows a career which spans rock, jazz and folk, but which generally shouldn’t be typecast. 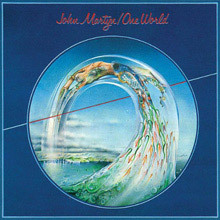 During the 1970s he released a sequence of albums, including Stormbringer, Solid Air and Inside Out which exhibit the kind of power that sends the listener into raptures. Meanhile his live performances were similarly ecstatic occasions – the sort of concert experiences that grab one by the throat and demand attention and participation. Typically, Martyn never sat still himself either – he was a constant flux of energy and emotion. Similarly his music refused to bask in any reflected critical glory and he became more experimental with each passing year, especially so after he discovered the delights of Jamaica and in particular the wayward production genius of Lee ‘Scratch’ Perry who gave him a crash course in reggae from the skank margins and encouraged him towards ever more outrageous heights. Looking back at this era, some have christened Martyn ‘the Godfather of Trip Hop’. As his life progressed Martyn did indeed spiral off in directions not always conducive to happiness though pertinent to his own art. He received the OBE in 2009, posthumously accepted by his daughter since the big man passed in the New Year in his beloved Ireland. A giant in far out folk terms Martyn is a man whose music doesn’t seem to age but like a fine vintage Claret it improves with time. Martyn was always a restless soul even as a lad. His English mother and Scottish father divorced when he was very young and his grandmother mostly brought him up. At least he inherited some parental traits -they were both opera singers – but the young Martyn came under the wing of the maverick folk artist Hamish Imlach while at Art School in Glasgow and was soon brushing shoulders with Billy Connolly and Christy Moore who gave him a taste for the high life and the low life in equal measure. Martyn’s debut disc, London Conversation was fairly straightforward but even so he tackles standards and makes them sound fresh. The remastered version includes his take on ‘She Moved Through The Fair’, as well as his splendid attempt at Bob Dylan’s ‘Don’t Think Twice It’s Alright’ and the lovely ‘Sandy Grey’. 1968’s The Tumbler moved all the goal posts thanks to his teaming up with the flautist Harold McNair, the revered guitar player Paul Wheeler and double bass player David Moses. Recorded in Regent Sound on Denmark Street (aka Tin Pan Alley) this record was produced by Al Stewart who encouraged Martyn to find his own voice and construct his own lyrics, which he did to startling effect. 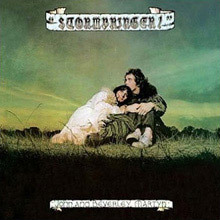 By 1970 Martyn was spending time in New York and he made his third album, the classic Stormbringer with his wife Beverley in Woodstock, supervised now by Joe Boyd and aided by none other than Levon Helm, John Simon, Paul Harris and other alumni from that particular freak zone of talented musicians. 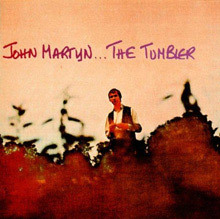 By now John was starting to push beyond the norm, as can be heard on stand out cuts like John the Baptist and Traffic-Light Lady where he begins to stretch out in the manner of Tim Buckley. After returning to London and Chelsea’s Sound Techniques Studio the Martyn’s concocted The Road To Ruin with various friends from the Pentangle and Fairport Convention ensembles (Danny Thompson and Dave Pegg), Beach Boys session man drummer Mike Kowalski and the sax player Dudu Pukwana who introduced John to a large pool of African sounds and rhythms. 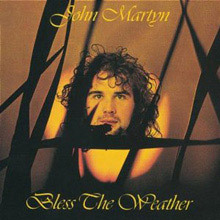 Even so, 1971’s Bless The Weather was largely a return to acoustic styling though it does include his first use of the Echoplex guitar effect on Glistening Glyndebourne. Based on elemental themes this disc includes Martyn fan favourites like ‘Sugar Lump’ and ‘Back Down the River’.Â The reissue is suitably improved by the addition of the single ‘May You Never’. Now working with producer John Wood, Martyn cemented a relationship of peers with the English folk singer songwriter Nick Drake, a fellow Island artist. 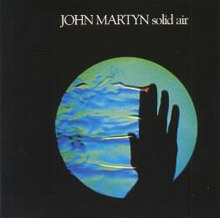 Apart from shared tastes in side-men, the two fellows enjoyed talking about their passion for writing and Martyn’s 1973 disc, Solid Air, took its title track inspiration from Drake’s ability to fill space with the deftest vocal touch. Solid Air is now considered a solid gold masterpiece. It’s often called the first great chill-out record, and it’s easy to understand the impact it had when one listens again to such delights as ‘I’d Rather Be The Devil’, ‘Go Down Easy’ and the magnificently ornate title song. If his talent had been air born before it now seems stratospheric. Eric Clapton said of Martyn that he was so far ahead of everything else, it was inconceivable and Ol’ Slowhand tackled ‘May You Never’ as a fitting tribute in 1977. In 2006 John played Solid Air in its entirety at the All Tomorrow’s Parties event Don’t Look Back and the album was given special mention when he received his BBC Folk Award for Lifetime Achievement from Phil Collins two years later. Again recording with Fairport stalwarts (including Richard Thompson) it’s safe to say this album sets a standard few have matched since. Real Desert Island Discs stuff. That same year the artist was on such a contact high that he made the experimental Inside Out in a matter of weeks. Now entering total jazz realms Martyn was assisted by Traffic’s Steve Winwood and Chris Wood who thought the sessions a defining moment. Ever more daring now Martyn recorded chunks of One World outdoors at Woolwich Green Farm with guests including Lee ‘Scratch’ Perry on Big Muff and Winwood again on keyboards and Moog synthesiser. 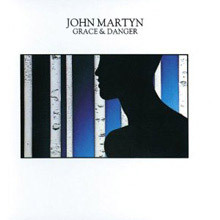 By now it seemed there were no places that John’s voice couldn’t go to but he underwent a period of personal upheaval before returning to the fray with 1980s’ Grace and Danger disc, which comes with many remastered rarities, some live BBC recordings and a heavy dub batch of extras. This was John’s favourite and most autobiographical album. As befits an artist of his stature Martyn has been lavishly chronicled. 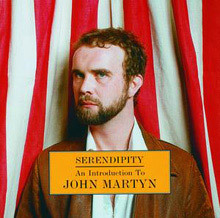 There are excellent compilations, May You Never – The Best of, the handy introductory The Electric John Martyn, and the lavish career-spanning Ain’t No Saint, released on the eve of John’s 60thbirthday and gazing back in wonder at 40 years of sheer brilliance. Certainly his passing was a sad event although he maintained a remarkable outlook on his life and leaves us with much to be thankful for. He was a fine man and a master musician. 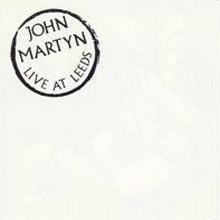 Everyone needs some John Martyn in their life. 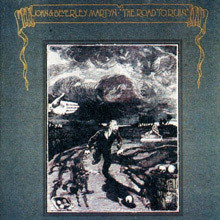 John & Beverley Martyn – Stormbringer!